We are always available to help you find " The Best in Vacations everyday "
Call the Best Travel Agency and Cruise Consultants, Let us be your Trip Planner WHY should you use us to help with your Vacation ?, Better Destinations, Better Accommodations, Better Itinerary, Better Deals and Promotions, Better Training and Product Knowledge, Personal Connection and Care, Inside Information, Your Travel is our Concern and keeping you as a customer is our Job, We always go the extra mile to make your dreams a reality. This company does not pressure you to accept our suggestions, but works with you to show you the possibilities available to you because that's what we are here for because we are knowledgeable and trained to be experts in traveling the world and it is our concern and planning that puts you on the road to achieving both your long and short-term goals. 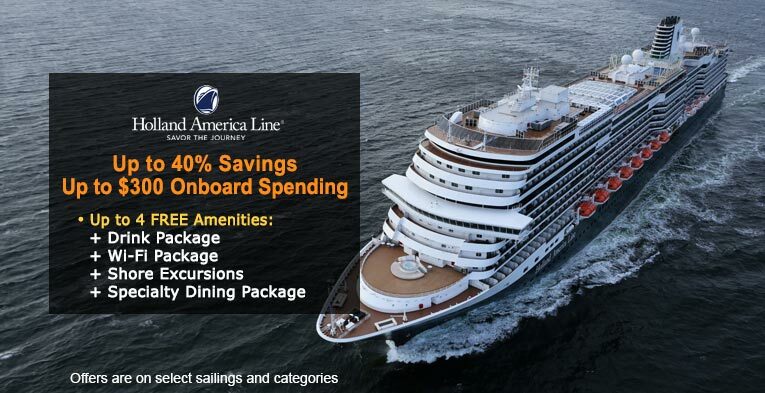 Beer and Wine Included on Select Sailings and Categories! 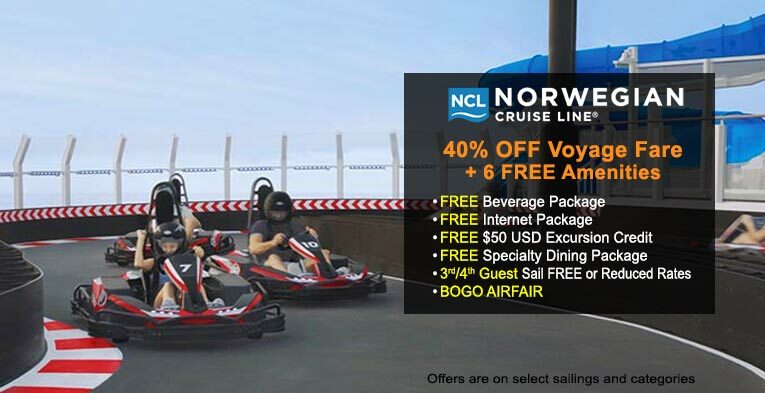 EXCLUSIVE Special Rates on select sailings! Military Rates - Must call to book! 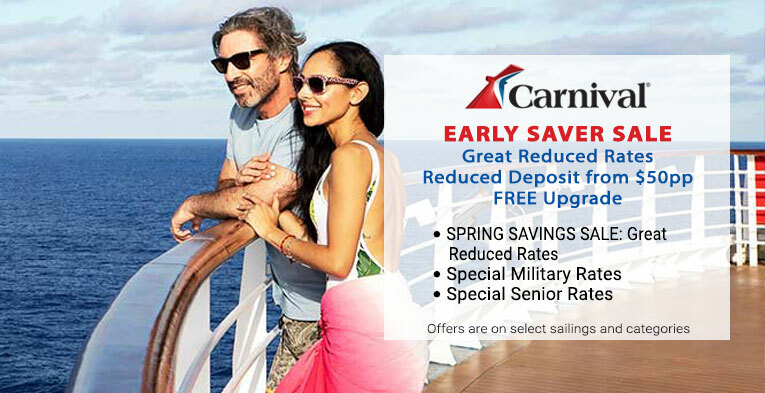 MILITARY SALE: FREE Onboard Spending up to $250!